Lynn Loughlin Skerpon, an attorney with the Firm’s Real Estate and Banking Practice Group, assists clients with the development of comprehensive estate plans. Ms. Skerpon is capable of creating and administering estate plans for uncomplicated estates, as well as for estates involving significant assets and/or complex issues, such as second marriages, and business succession. She has the unique background and experience of serving as the Register of Wills for Prince George’s County where she represented over 846,000 constituents. She has extensive knowledge and many years of experience handling probate matters and the administration of estates before the Registers of Wills of the various counties in the State of Maryland. In 2005, she was recognized as one of Maryland’s Top 100 Women. Ms. Skerpon most recently served as Senior Advisor to the Comptroller of Maryland. She has experience working with the Maryland General Assembly to lobby legislators about issues concerning estate and tax laws. She initiated, testified, and successfully pursued state legislation to waive fees and inheritance taxes for Maryland families who lost loved ones on September 11th. In addition, as a former Trustee of the Capital Hospice, she provided expertise on changing trends regarding senior issues, specifically with estates and trusts. Ms. Skerpon also chaired the Visionary Panel Task Force on Educational Opportunities for Senior Citizens and was responsible for coordinating a task group to provide a report to the Prince George’s County Executive recommending educational opportunities for older adults. She taught as an Adjunct Professor of Trusts and Estates Law at the Catholic University of American Columbia School of Law. Ms. Skerpon is a graduate of Princeton University and the State University of New York at Buffalo School of Law. She served as an Assistant Legislative Officer for Governor Harry Hughes. She drafted the first Child Safety Seat Law for the State of Maryland which took effect in 1984. Ms. Skerpon is actively involved in the Young Men’s Democratic Club of Prince George’s County, where she was not only the first female member but also the first female President of the Club. She is also active in the National College of Probate Judges, the Maryland State Bar Association, Prince George’s County Bar Association, and the Catholic Business Network of Prince George’s County. 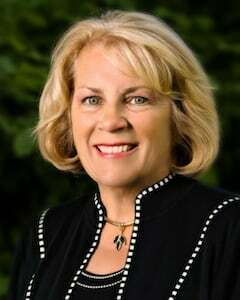 She is currently on the Board of Trustees of the Prince George’s Community College. Ms. Skerpon is admitted to practice in Maryland and New York. Admitted to the Courts of Appeals of Maryland and New York, and the United States District Court for the Western District of New York. Bachelor of Arts, Politics, Princeton University, Princeton, New Jersey (1975). Accomplished, motivated, and personable estates and trusts attorney with over 25 years of law experience and six years serving as an elected official as Register of Wills for Prince George’s County. Natural and persuasive communicator recognized among colleagues for being results-oriented and working with individuals to achieve a common goal. Diplomatic and poised with demonstrated ability to create consensus among divergent groups. Knowledgeable of the Prince George’s County and State of Maryland Governments and Judicial system. Familiar with County and State politics. Talent for problem solving and exceptional writing and analytical skills. Excellent interpersonal and presentation skills.